The new modular apartment scheme consists of 300 apartments in nine apartment buildings with a total living area of 12,030 m2. The total cost of the project is €24m (~£21m). Astel is the main contractor for the ICON Kristalli Ilves and the scheme is expected to be complete by 2020. CEO of Astel Modular, Raul Kinks said: “Modular buildings are manufactured up to 50% faster and with better quality compared to buildings constructed entirely on site. In the Baltic States, Astel has the longest experience in manufacturing timber houses. Besides manufacturing the modules, Astel will also take care of the architectural planning and engineering, landscaping, building foundation and infrastructure. The project initiator and developer is ICON real estate fund. 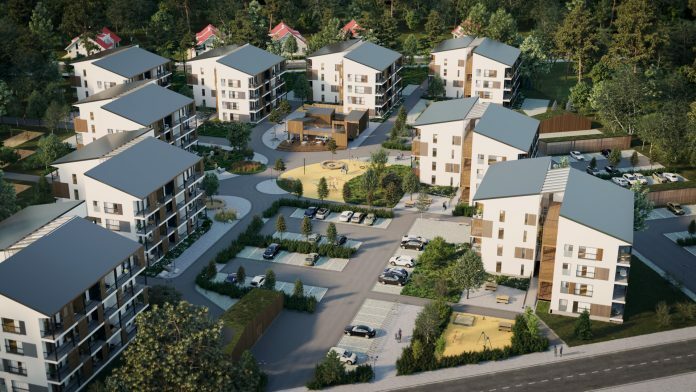 ICON is currently developing eight real estate projects in Finland using modular construction in several of their new developments. Astel house factories manufacture approximately 35,000 m2 of modules per year. Astel Group has over 200 employees and its turnover in 2018 was more than €27.5m. Astel Modular is accredited to ISO 9001 and ISO 14001 certificates for design, sales, and production of modular houses.